In the 1590s, after the death of her husband, Sara Vincx ran a successful glassmaking business in the city of Antwerp. In the midst of a major war, she presided over a furnace where craftsmen from Murano, Italy made fine cristallo glassware for the elite families in Flanders. Vinx is the first documented female owner of a glass furnace anywhere. The Dutch Eighty Years' War for independence from Spain was heating up in Flanders; towns were being pillaged and burned to the ground throughout the Low Countries. Even so, Vincx ably managed a crew of expert glass artists and brought her company's wares to market. When competitors tried to duplicate her products, she successfully defended her shop in court. Later, she remarried to Filippo Gridolfi, one of her foremen at the furnace. The two went on to open a show-room on the Meir, the most prestigious sales district of the city. They also welcomed glassmaker Antonio Neri to work at their facility. Neri was living in the city on an extended seven year visit to his friend and fellow alchemical experimenter Emmanuel Ximenes. The seven years that Antonio Neri spent in Antwerp were arguably the most formative for his knowledge of glassmaking. 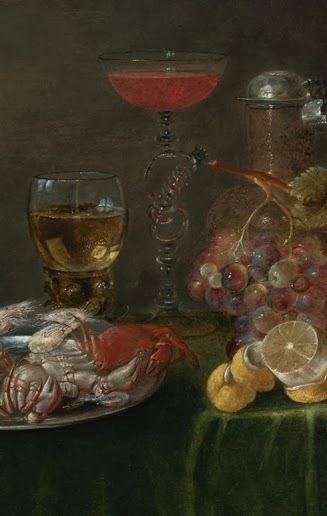 While his first exposure to the art was in Italy, a large portion of the skills and recipes exhibited in his recipe book, L'Arte Vetraria, trace to his activities in the Low Countries. Neri writes "This will make a beautiful aquamarine so nice and marvelous, that you will be astonished, as I have done many times in Flanders in the city of Antwerp to the marvel of all those that saw it." On tinting rock crystal: "In Antwerp, I made quite a bit of this, some ranged in tint from an opal color that looked very beautiful, to a girasol, similarly nice." On equipment: "In Antwerp, I built a furnace that held twenty glass-pots of various colors and when fired for twenty-four hours everything fused and purified." He also speaks of chalcedony glass, paste gems and ultramarine paint all crafted in Antwerp. Neri was apparently on good terms with Vincx and Gridolfi, perhaps he was introduced through Ximenes, one of the wealthiest men in the city. In his book Neri describes Gridolfi as "a most courteous gentleman." Vincx and Gridolfi possessed exclusive rights in the region to produce cristallo glass in the Venetian style (façon de Venice) a type of glass that Neri was already quite familiar with from his time making glass in Florence. The license, or patent as it was called, passed down from previous owners, was quite a valuable part of the operation. Employed in their shop was a steady stream of craftsmen from Murano. They made the finest glassware for the upper classes of Antwerp and surrounding areas. Because these craftsmen were bringing the secret techniques with them, they worked outside of the guild system, which would have otherwise required them to share their techniques with other artisans. Through special arrangements with the local authorities, the Venetians were exempt from joining. Sara Vincx (or Vincks) was the widow of the former owner, Ambrogio de Mongarda. Gridolfi had previously worked in the shop under Mongarda, who had been in the business for twenty years. Vincx was pressed into service by unhappy circumstances. In 1594, Ambrogio returned alone to Venice to recuperate from gout, but by the following year he was dead, leaving Sara to both run the glass shop and care for at least eight young children. Sara Vincx carries a distinction as the first documented female owner of a glass furnace anywhere. She took an active role in the business as attested by lawsuits she filed, and won, against rival shops that violated her patent. Records show she also expanded the furnace and hired two new artisans to increase production. Despite the war and the blockade of the Scheldt River, which shut down trade by sea for a number of years in Antwerp, the glass furnace there thrived and reached its zenith under Vincx and Gridolfi. Soon after their marriage, seventeen employees were counted working at the shop. They established their own retail presence on the Meir, selling high-end cristallo within steps of the Ximenes palace. Their glass operation enjoyed top-rung status, and no doubt, Antonio Neri's involvement must have bolstered the reputation of the firm even further. *This post first appeared here in a shorter form on 4 October 2013.